Update – May 5, 2014 – NEW PROGRAMS BEGIN ON THE 10th! 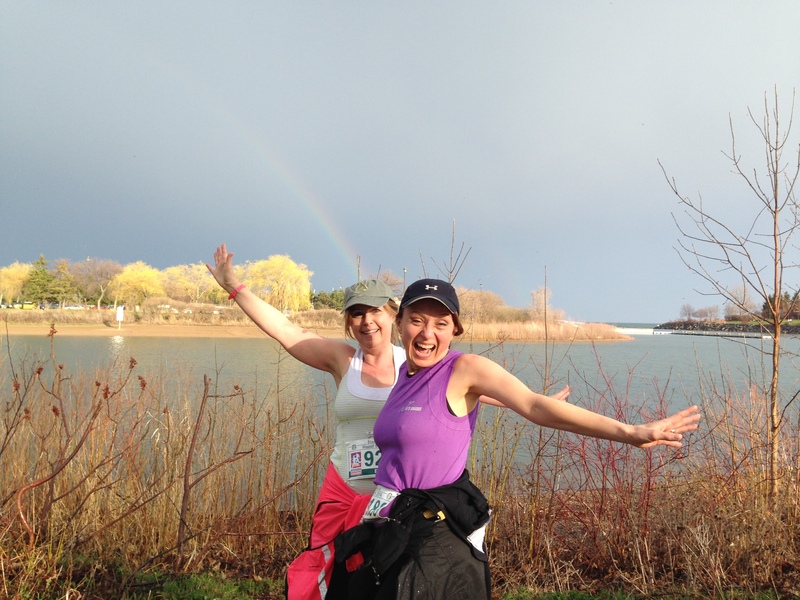 Nik’s Chicks is a FREE ladies only running/triathlon group. It is only a time and place to meet & a program to follow. I cannot join you on every run/workout. If you are new to exercising, it is advisable to have a doctor’s OK prior to beginning. Any information or products represented on this site are for educational purposes only and are not a substitute for any advice given to you by a medical, nutritional or fitness professional. Please sign my waiver (in “About”) and fill out my contact info sheet when you arrive for your first run. Please park on West Oak Trails Blvd or Nightingale to avoid the locking beeps and car doors closing around my neighbours’ houses – especially on Saturday mornings! We run Monday and Thursday evenings 8pm and Saturday mornings 8am from the corner of Redwing and Blackbird Courts. Check out Weekly Workout section for specific times. The feeling you get from a good run is far better than the feeling you get from sitting around wishing you were running. Hello ladies, here is the latest news from the “nest”! 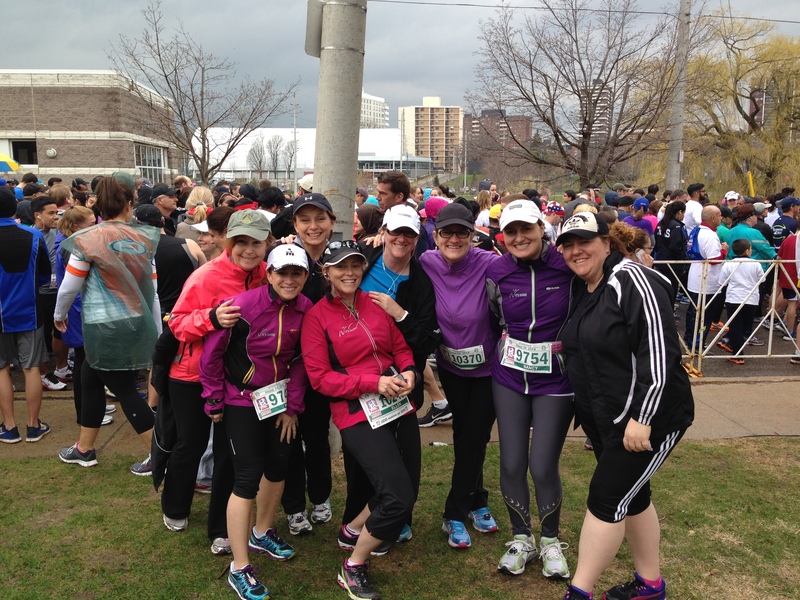 I got to run my first 5km race in a long time…and I got to do it with some super Chicks! I didn’t PB – it was not about me and my race. Rather, it was all about supporting the ladies who were running. It gave me fresh perspective on why I love this running group! What a thrill to laugh, smile and cross the finish line. We had rain, flies and rainbows – it was fun filled adventure! Post-race dinner at The Works topped it all off with good food and some “laughing so hard I’m crying” moments!! Can’t wait to do it again. I am a new recruit. I am now officially one of “Nik’s Chicks” having just run my very first 5K! It’s a “Wow – I did it” kind of feeling. It feels amazing. I am glad to have shared it with such a supportive group of women, then again; truly I would not have done it without the encouragement of Niki and her group, Nik’s Chicks. Having never run before, I was reluctant and ultimately ran out of excuses as to why I could not … Niki’s recruiting phrases laced with the cheery and encouraging rhythm got me out there … plus a couple other Mom’s from our daughter’s hockey team – to one another we would say “are you going to do it?” as we entertained the thought. I had my road blocks. Like day 1 when we were to start and Mapquest told me to turn left from Third Line instead of right … I circled the neighbourhood for 15 minutes looking for a troupe of women – I was ready to go home and throw in the towel – the universe sending me a message that this was not for me. Instead I went home, got Charlie our loveable golden doodle and set out for a brisk walk. My 11 year old daughter took me out the next day – she had the timer with her and the fortitude to get me going. When I commented on the length of time she asked me to run, saying “Niki doesn’t do that”, my snuggly angel of a daughter quipped back “do I look like Niki?” … and off we went. The next training session was the Monday night and I was welcomed into the group. The camaraderie was immediately felt; soon afterwards followed by the “what was I thinking” – 60 seconds never felt so long. I think it was the following Monday when it was cold and rainy out – dinner was on the table and our “meet time” was ticking closer and closer. Yes, another milestone moment when I thought … “maybe I will run tomorrow” … and then there was Niki’s blog, chirping with encouragement “it’s not bad weather, its bad gear” … and out I went. As our sessions began to progress, Niki would ask each time, “who’s signed up for the run?” … and then I did it … it was a commitment that I really was going to do this thing. As Niki once said, “we are running to complete, not to compete”, the words etching into my memory and thought process. The run; some new faces even on run day as some of the more seasoned ladies in our group joined in the 5 k runners, for some it was their second run of the day; others getting back into running after a sabbatical of 10 years. Our group travelled together to our destination. As we stood with the ominous clouds above us the brilliant idea of Starbucks to kill the wait time was made. Good plan. Definitely a good plan as the rain began, sipping coffee on the inside looking out. So this would be it – soaked to the bones. Our time was up – to the start line we went. The rain had stopped; we lined up at the port-a-potties; we sang Oh Canada; photos were taken and the mosaic of runners prepared behind the start line – count down and Go! Past the 4k marker the happiness within could be felt – I was doing this. The threatening thunder storm (at one point, I was sure we would be dashing lightning bolts”) had shifted to grey skies and as we emerged from the trail the skies were opening up. The trail merging onto the lakeside path, the curved route ahead of us, the mirage of white tents in the distance and then there it was – the rainbow – photo op! On the other side of the inlet, the white tents, the blue sky, and our rainbow. Running that last stretch, supporters cheering you on, another sign about being steps away from a great accomplishment, I ask, is it normal to see the finish line right in front of you and self-talk “I can’t do it, I don’t think I can do it” and then somehow you reach the magical stretch, the cheers, the smile from within breaks out. For Niki, she embraced what I labelled “her stroll in the park” with two Nik’ Chicks in stride, with full spirit. Flanked by Niki on my left and Claire, who had spotted the rainbow, on my right – the ballooned arch of the finish line ahead – hearing our names called out as we finished and the photo shoot end – what a feeling! Thanks Niki – thanks fellow Nik’s Chicks. And so now, we start training for our 10K! For fellow newbie Chicks – if you were training with us this past two weeks, you are ready for the 10K training (remember me, the tortoise of the group – at the end of it, we are hopping!). For those of you who had additional roadblocks, there is nothing like a reset button (as attested by past runners of a decade or so who have begun anew) See you this week – thank you to all of you for your welcoming encouragement and most of all to Niki – Niki gives freely of her time, her energy and her spirit. She is the leader by your side. Congrats! 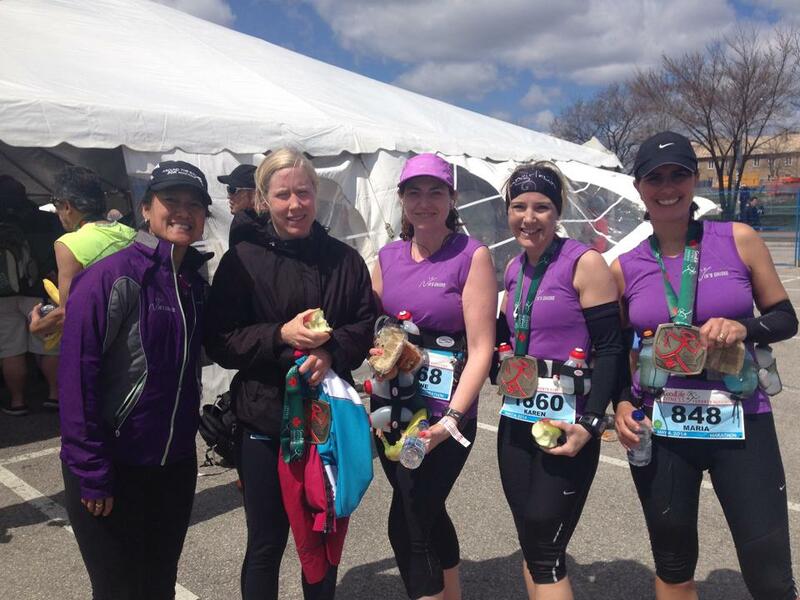 : Big congrats to all Chicks who ran this weekend – 5kers, half and full marathoners! Hope you all had good race days and are looking forward to the next big race!! Triathlon anyone? 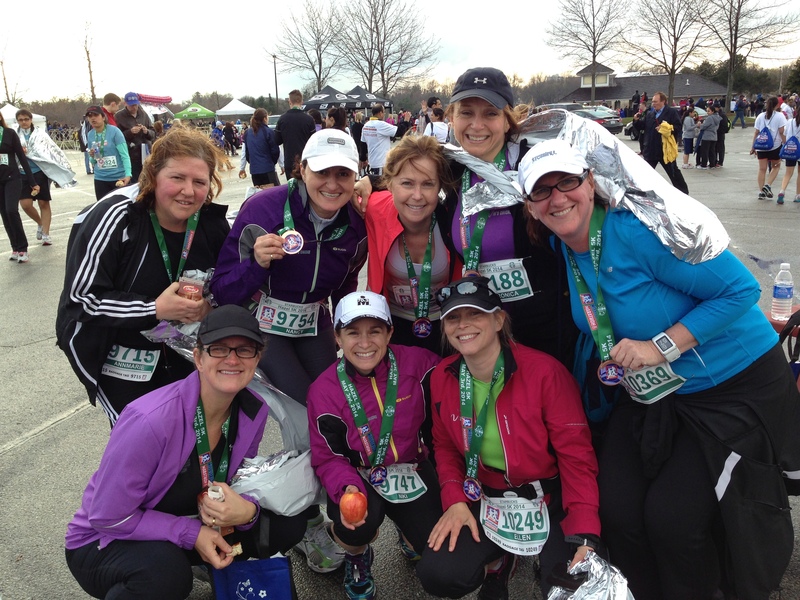 Goodlife Girls – Check out those medals!! New Programs Begin on Saturday: Mark the 10th at 8:00am on your calendar! We begin our new Learn to Run 5km and 10km programs. The programs we will be using are here . Learn to Run 5km Training Program (M,Th,S) 10 Km program from 5km base (M,Th,S) Print it off and track your progress. Don’t forget to put the session times into your families’ calendars too so everyone will know you are unavailable! We will be training for the Eaton Downtown Dash in Burlington on Thursday July 17th in the evening. You can register for this race here http://www.events.runningroom.com/site/?raceId=10000#starttimes Let me know when you sign up so I can add you to the “Upcoming Races” page. Here is a flyer you can post at your workplace. Learn to Run Poster May 2014 Please feel free to mention to a friend and be sure to tell them it’s FREE! Fundraising for the SportingLife 10km: Members of Nik’s Chicks and their kids have registered and are training for this 10km race on “Lauren’s Tumour Ninjas”. Race day is May 11th. We are raising funds for Camp Oochigeas – for kids with cancer. Nik’s Chicks have a fundraising goal of 500.00, and we are at 240.00! It would be great to surpass it! Please go to http://www.ooch.org/generalchallengeindividual2014?tab=0&frsid=14631 to donate to our group. If every member of the group donated 5.00 it would be a huge windfall! Thank you in advance for your support!! Tips from Runner’s World 2014 Daily Calendar: 1) As the temperature gets warmer, you must drink more. Try to sip on a regular basis and not guzzle to avoid stomach distress. 2) Forget about time. Leave your watch at home once in a while. It’s liberating not to be worried about pace. 3) During medium to long mileage runs, you need easily digestible energy that won’t send your blood sugars on a roller coaster ride. Pick a honey based bar. Honey contains carbohydrates (glucose and fructose) that deliver fast and long lasting fuel. 4) Have an out-of-body experience. Hover over your own body on the running path and turn on that remote video camera. Imagine TV viewers looking at you. Once you “see” yourself running, think about what you can do to run even smoother and look even better. Saturday – May 10 8:00am New Programs Begin!